What Does Your Saints Row: The Third Gang Leader Look Like? In today's gang-related edition of Speak Up on Kotaku, commenter Nameloi wants to get a good look at the face of your Saints Row: The Third gang leader. What hath the game's character customization wrought? Fellow Kotakus, are you playing Saints Row 3? Let's see your custom characters, and don't forget to post why it looks like that. 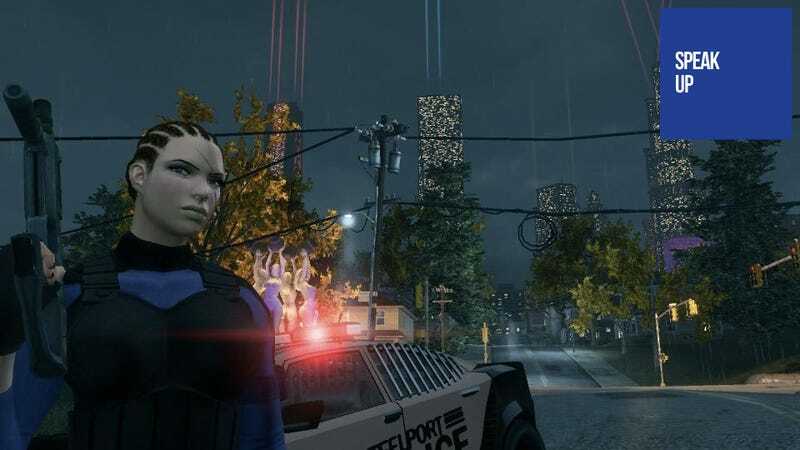 Here is mine, I was going for a female police officer look similar to the characters in Crackdown (which didn't have playable females).